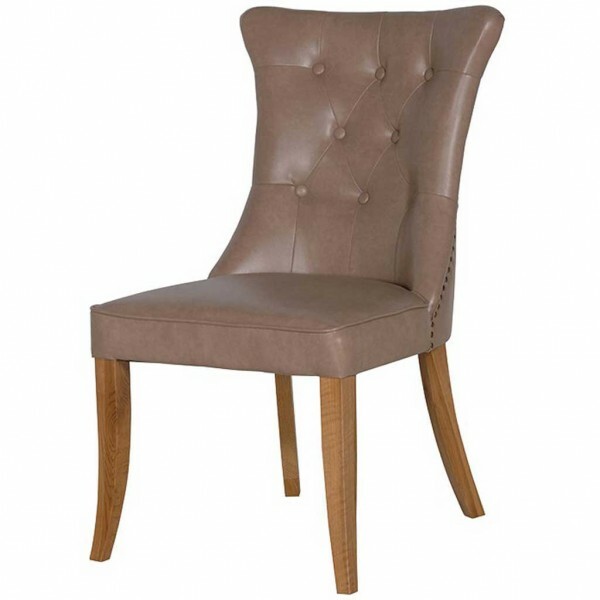 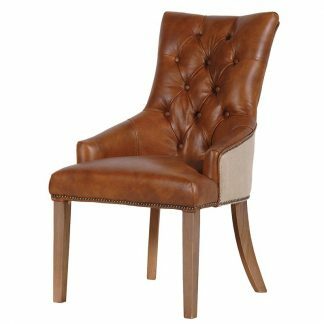 This stylish faux leather dining chair has natural oak legs. 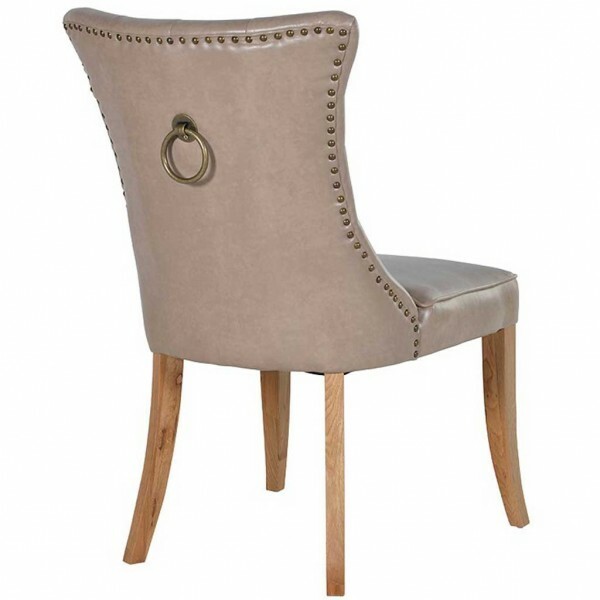 It is upholstered in beige faux leather and has brass stud detail and a metal ring pull to the back of the chair. 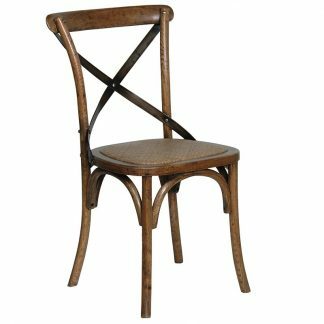 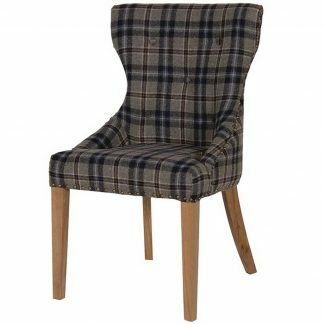 Add the style and comfort to your home with this lovely dining chair.